Recently, so many fake IBPS PO and RRB notifications were shared on social media that the Institute of Banking Personnel Selection (IBPS) was forced to issue a notice clearing the confusion. These fake notices were in the similar format as that of the IBPS. The notice said that all the advertisements and notifications shared on various websites and blogs are fake. They have asked the candidates to refer to the official website for all the information and not believe in this fake news. In the fake notice of IBPS PO 2017 it was mentioned that exam will be conducted in October. But the date of the notification was not mentioned in the notice. Also, these fake notices claimed to have 3000 vacancies for the PO and 14,000 vacancies in regional rural banks. All the students spread the fake about news number of vacancies mentioned in the fake advertisement. Some candidates, without knowing the authenticity of the notice, shared these notices on various social media platforms creating a lot of confusion among students. 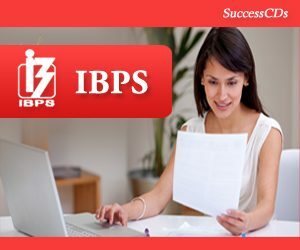 IBPS issued a notice on their official website, www.ibps.in, to clear out all the confusion regarding these fake notices.